Assuming no prior knowledge, books in the series offer an accessible overview of the subject, with activities, study questions, sample analyses, commentaries and key readings – all in the same volume. The innovative and flexible 'two-dimensional' structure is built around four sections – introduction, development, exploration and extension – which offer self-contained stages for study. Each topic can also be read across these sections, enabling the reader to build gradually on the knowledge gained. includes key readings from leading English language researchers, including Ronald Carter; Jennifer Coates; Ruqaiya Hasan; Roz Ivanič; Ben Rampton; John Sinclair. 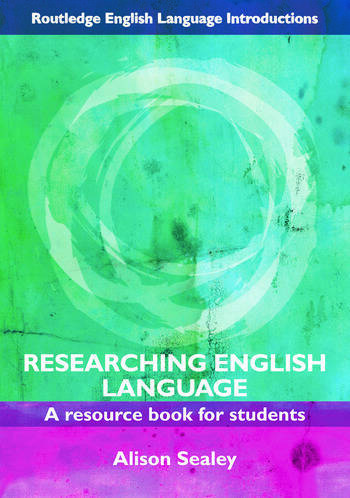 This title will be essential reading for students undertaking research within the areas of English Language, Linguistics and Applied Linguistics.